Kid Chameleon is a 1992 platform game released for the Sega Genesis/Mega Drive. The premise of the game is that the main character, Casey, can use masks to change into different characters in order to use different abilities. 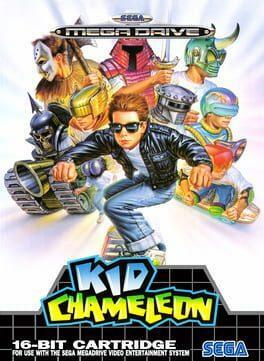 It was later released in Japan as Chameleon Kid (カメレオン キッド Kamereon Kiddo?). The game is also a part of the Sega Genesis Collection for the PlayStation 2 and PlayStation Portable. It was released for the Virtual Console in Japan on May 22, 2007; North America on May 28, 2007; and Europe on June 1, 2007. It was also released in addition to a series of other Sega games, including Shining Force and Comix Zone, in Sega Smash Pack 2. The game has also appeared in Sonic's Ultimate Genesis Collection for Xbox 360 and PlayStation 3. Kid Chameleon is available from 2.49 to 2.49 from 1 shops.